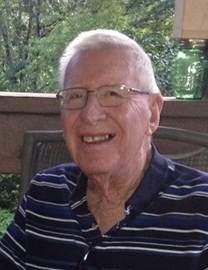 It is with deep sadness that we inform you that Espie Zane Reynolds, the father of Mark Reynolds of MDNA Member Firm Hilco Industrial LLC, passed away on Wednesday May 31st. Mr. Reynolds is also survived by his wife Ruth Ann Trhlik Reynolds, daughter, Deborah Reynolds; sons, Dwight Reynolds and John Reynolds; grandchildren, Ian Reynolds, Sarah Helman Amini, Olivia Fain, Taylor Reynolds, Casey Reynolds, Declan Reynolds, and Hudson Reynolds; and one great grandchild, June Amini. You can read the complete Obituary here. A memorial service was held on Tuesday, June 13, 2017 in Franklin, NC 28734. Please extend your thoughts and prayers to mreynolds@hilcoglobal.com and the family.